NHL News : Breaking: Wings make several lineup changes! Breaking: Wings make several lineup changes! 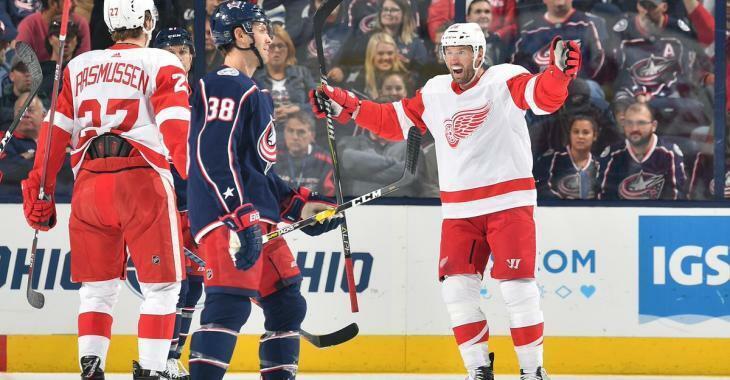 It was expected and we finally know what changes need to be made in Detroit following the injury of Red Wings veteran forward Thomas Vanek. After the 5-3 win over the Columbus Blue Jackets on Tuesday night, the Red Wings revealed that it would be without his services for the next two-to-three weeks due to a lower-body injury. Red Wings head coach Jeff Blashill said after his team's victory that Vanek sustained a lower-body injury during the game. Vanek appeared to hurt a knee after being hit in the first period. He did record a point before leaving as Vanek set up a goal Tuesday for his fourth point in his last five games. Therefore some changes were made to the lineup on Wednesday. The Red Wings have just recalled center Wade Megan from the American Hockey League’s Grand Rapids Griffins and assigned defenseman Joe Hicketts to the Griffins.